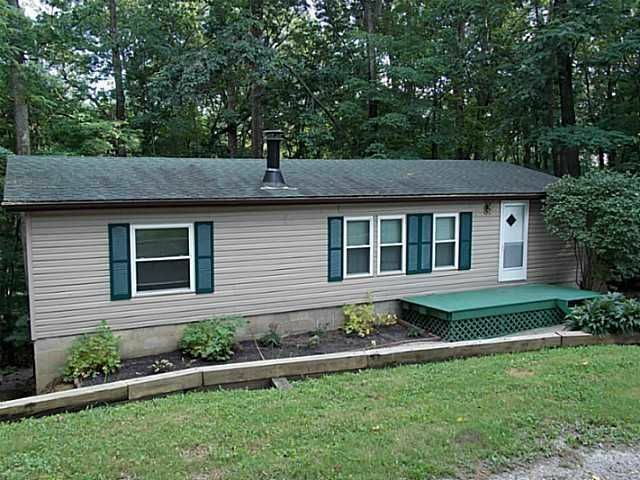 Great getaway or first home situated on two lots, one full acre, in Hide A Way Hills. Enormous, full, walk-out basement can be finished to double the square footage. Newer mechanicals include heat pump, well pump and septic aeration pump. Nice, large rear deck situated among the trees. Very well kept interior. Large master bed and bath . Kitchen features abundant , newer cabinetry w/breakfast bar.